By SHAZOOM SI 102 (1993). Stakes winner, $178,606 [G3]. 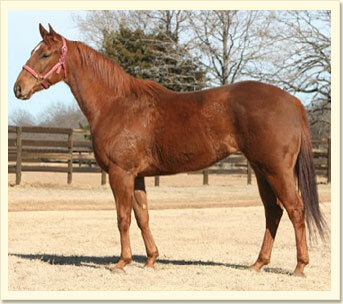 Sire of 400 ROM, 34 stakes winners, $9,388,686, including SHINING SKY SI 102 (champion, $494,009, Retama Park Fut. [G1]), LETT HER ZOOM SI 103 (champion, $309,167, Kansas Fut. [G2]), AZOOM SI 107 (11 wins, $738,136, Texas Clsc. Fut. [G1]), MR QUEENS MYSTERY SI 101 ($522,460,Texas Clsc. Fut. [G1]), POOL SI 107 ($438,689 [RG2]), ZOOMIN FOR BUX SI 117 ($259,739). Lil Diamond Casey SI 93,by Holland Ease.Winner to 7, $45,663, 2nd Fair Meadows Juvenile, 3rd Oklahoma Horsemen’s Association Futurity [R].Dam of 1 other foal of racing age, an unstarted 3-year-old of 2009. LIL CASEY JET SI 95, by Easy Rollin Jet. 5 wins, 2 to 4, $11,254. Dam of 8 foals, 6 to race, all ROM, including–BIG TIME SNOW SI 93 (g. by This Snow Is Royal). 2 wins to 3, $19,595, Fair Meadows Juvenile S., finalist in the Oklahoma Horsemen’s Association Derby [R] [G3]. Lil Diamond Casey SI 93 (f. by Holland Ease). Stakes placed winner,above. Takin A Dash SI 92 (g. by Takin On The Cash).Winner to 7, $16,199. Hurricane Casey SI 89 (f. by Takin On The Cash). Winner to 3, $9,309. A Classy Cartel SI 89 (c. by Corona Cartel).Winner to 4, $7,771.